By choosing Smart Peanut Butter, you will ensure that you and your family's daily nutritional needs are taken care of whilst providing a delicious treat. 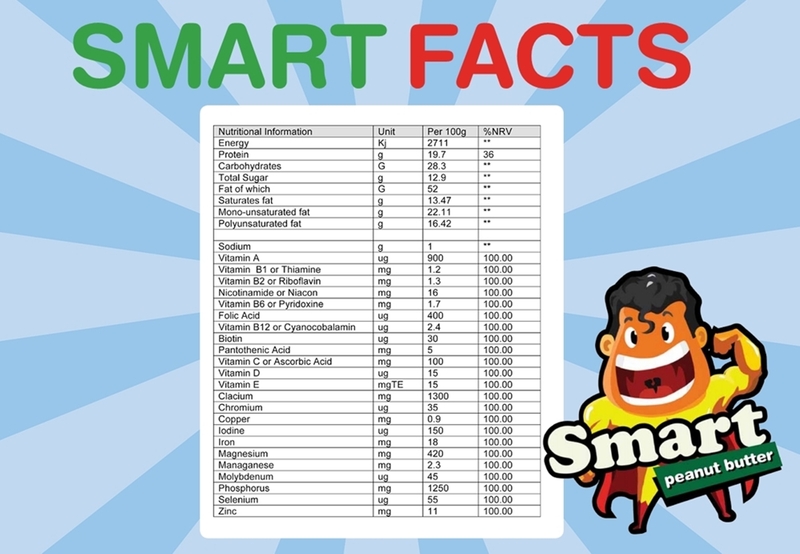 Smart Peanut Butter have identified the need for a fortified peanut butter, if you already eat peanut butter, why not choose one with 24 added vitamins and minerals for ultimate nutrition? Now you can enjoy a great tasting Smart Peanut Butter in a choice of two Jar sizes 400g and 800g , in both Smooth or Extra Crunchy !